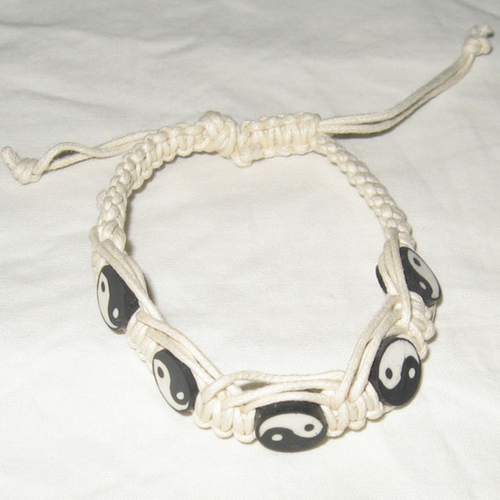 Balance your Feng Shui energy with the Yin Yang Bracelet. Perfect for both the stressed looking to relax and the listless looking for some pep. Yin and Yang are the two energetic parts of the Tai Chi. The Yin half is relaxing, while the Yang half is active. 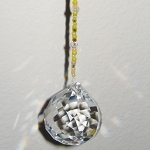 Yin and Yang need to balance each other so that neither energy overwhelms. 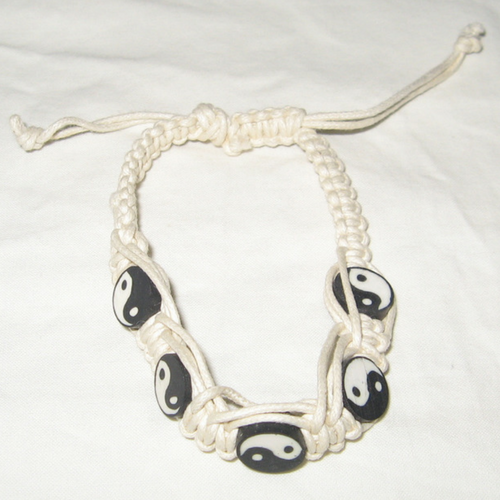 The Yin Yang beads on the Yin Yang Bracelet are a perfect harmonious balance of Yin and Yang, dark and light, relaxation and energy. 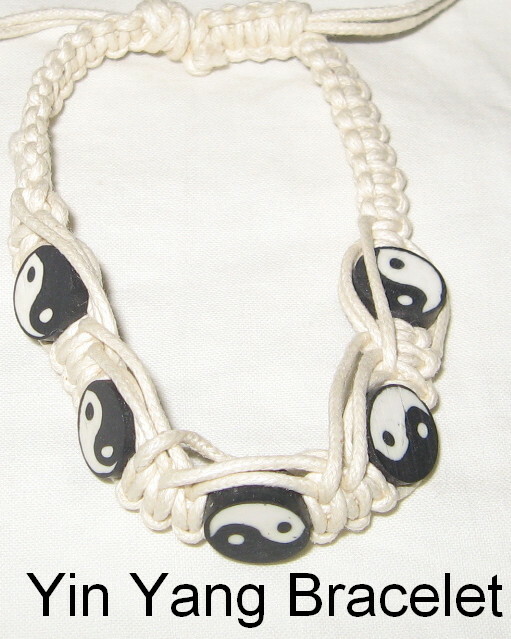 Black and white Yin Yang clay beads on adjustable macramé bracelet approximately 7 inches.